Soon the calendar will show 2019! Therefore, JAI would like to take the opportunity to send seasonal greetings to our friends all over the world. We would like to thank our customers, partners and other business contacts for your interest, co-operation and continued support throughout 2018. A new fresh year is waiting to be embraced - and we hope that 2019 will bring success and happiness to both you and JAI. 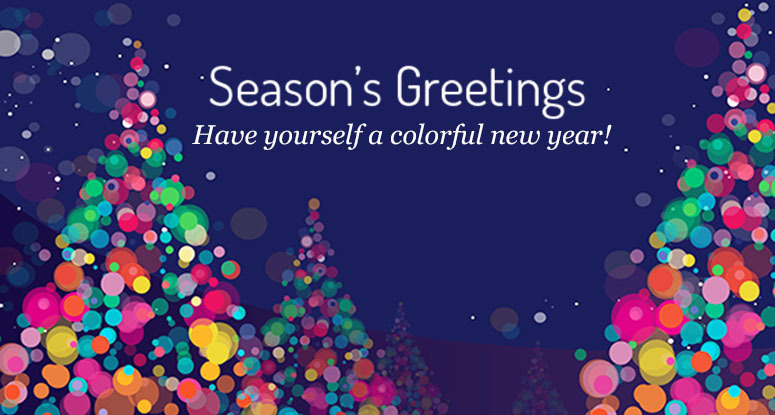 We wish you and your family a colorful and prosperous 2019! Also our thoughts and good wishes go out to people who are in special need, and this year we have made a donation to the international medical humanitarian aid organization Médecins Sans Frontières (Doctors without Borders), who are working hard to provide medical attention to people in many unsecure places around the world.